Over the last couple of months, I’ve gradually been updating my room, giving it a bit of a makeover. It all began with a little Pinterest scrolling and finding an image of a light pink bedroom. It looked so fresh and calming; exactly what I wanted for my own room. Then came the challenge of finding the perfect shade of pink. Nothing too grey toned or too pink. I tried swatch after swatch from a range of paint brands, but the one I kept being drawn back to was Middleton Pink by Farrow and Ball. It was ideal for my north facing room, even in the corners with the most shade, it didn’t look dull or grey and in the lightest areas it looked beautifully refreshing. Perfect! So began my love for Farrow & Ball. Then came rumours of new colours. There had been a few teaser posts on their social media this last month or so, posts declaring new colours were coming, 9 in fact! This is a fairly rare event for the Dorset based paint brand, with new paint colours released perhaps every 2-3 years. 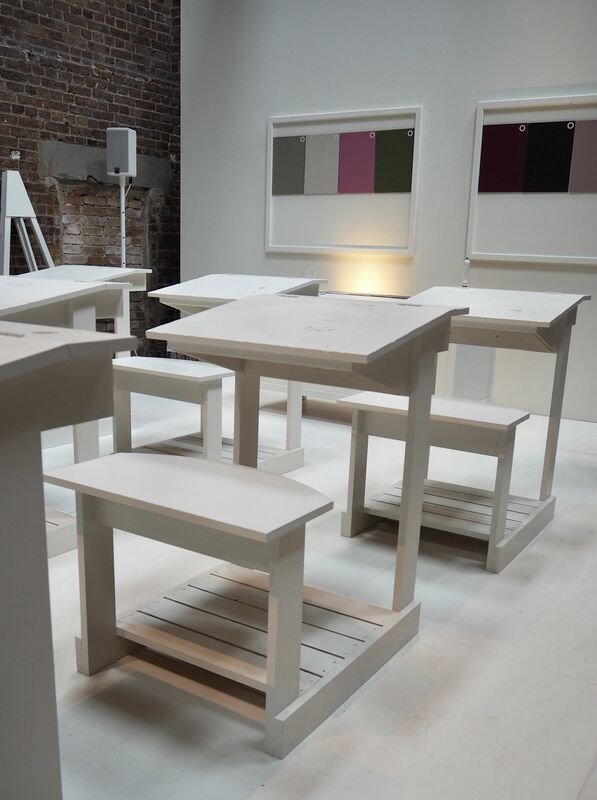 Last week I heard that the new colours were to be launched during London Design Week, in a pop up in Shoreditch. 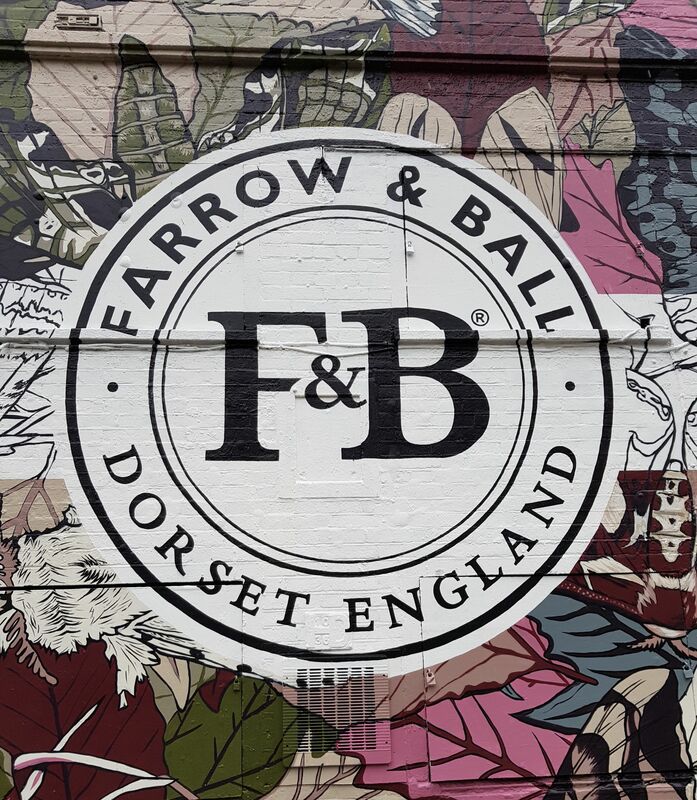 I think I heard about it first from Kate of Mad About The House followed by an email from Farrow and Ball asking me to register to attend their free immersive pop up experience!! Excited doesn’t even come close to describing how I felt. 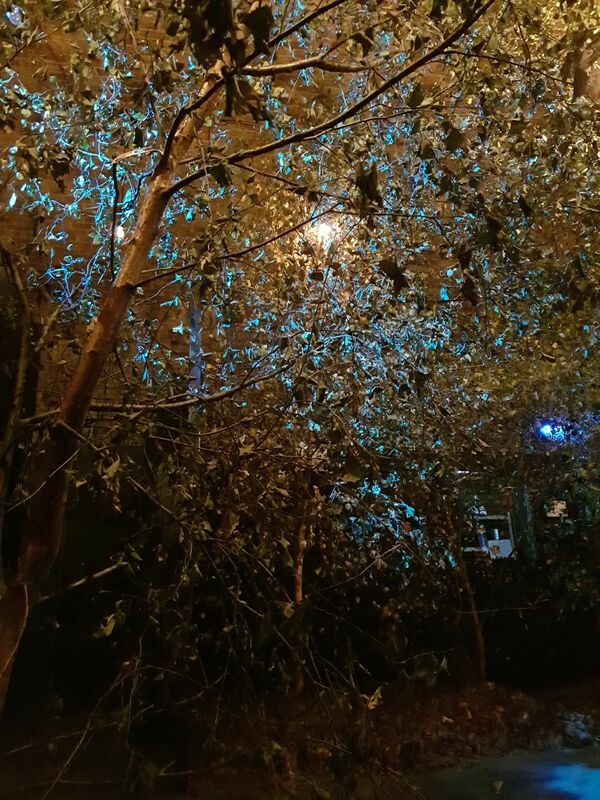 I was so excited in fact, I braved the pouring rain, last Sunday morning as I headed to Shoreditch and I loved every moment of the immersive event! I thought I would start us off with my favourite shade from the new collection. Perhaps not a major surprise, having just painted my room Middleton Pink. Sulking Room Pink is a muted rose shade. The name alone makes it a winner for me. 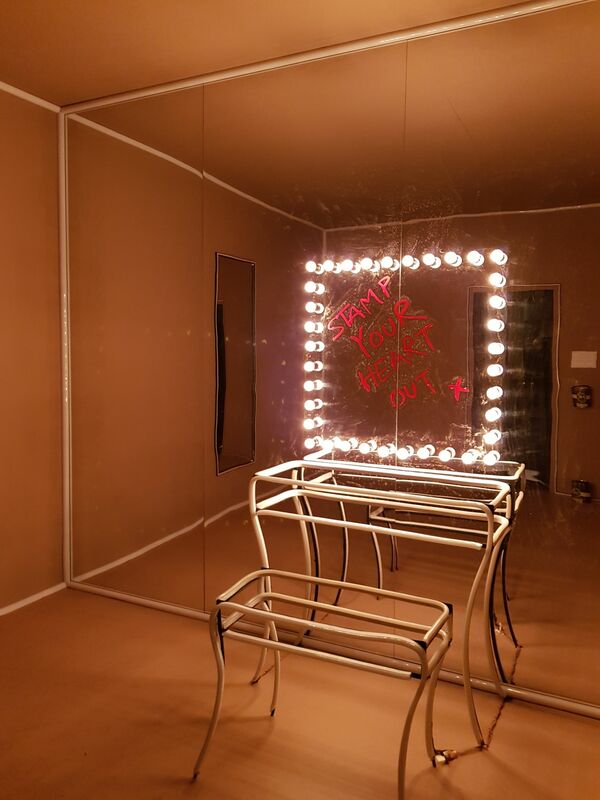 The shade is evocative of the colours so often used in boudoirs, a room named after the French ‘bouder’ – to sulk. One of the reasons I think Farrow and Ball paints are so beautiful is their depth. The same colour can look like a multitude of shades, all depending on how the light hits and you can really see that at work with Sulking Room Pink. This colour has a lot of warmth, yet its powdery feel makes it soft and easy to use with greys and whites. This red based black is very brooding. 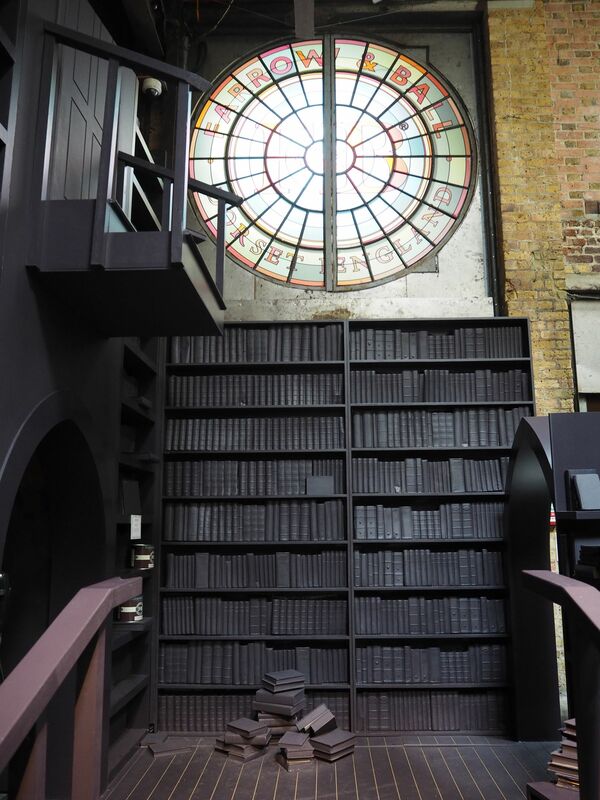 As I wandered around the pop-up I overheard a few people call it the Harry Potter corner and I can see why. 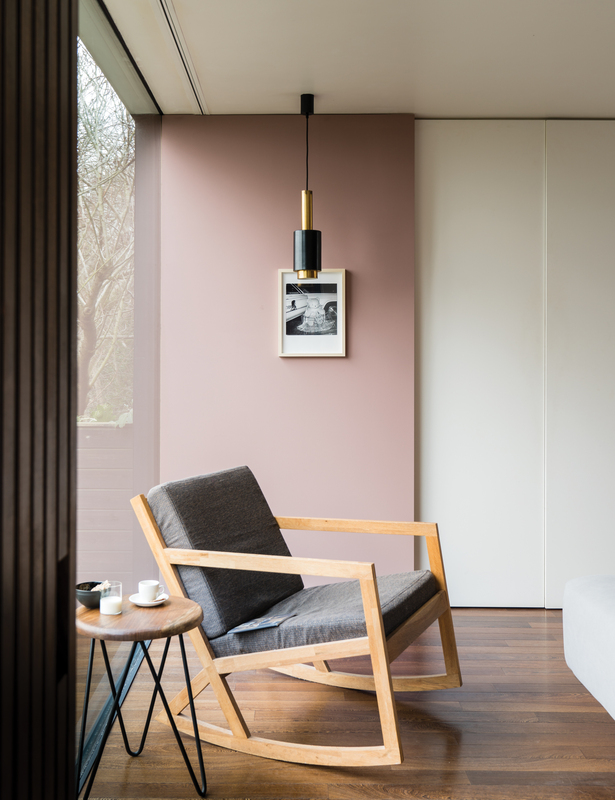 A Georgian inspired shade, it can create a cosy feel in a contemporary home. I could imagine using this as an alternative to Down Pipe. It would be the perfect shade for the trimming when combined with Middleton Pink on the walls. 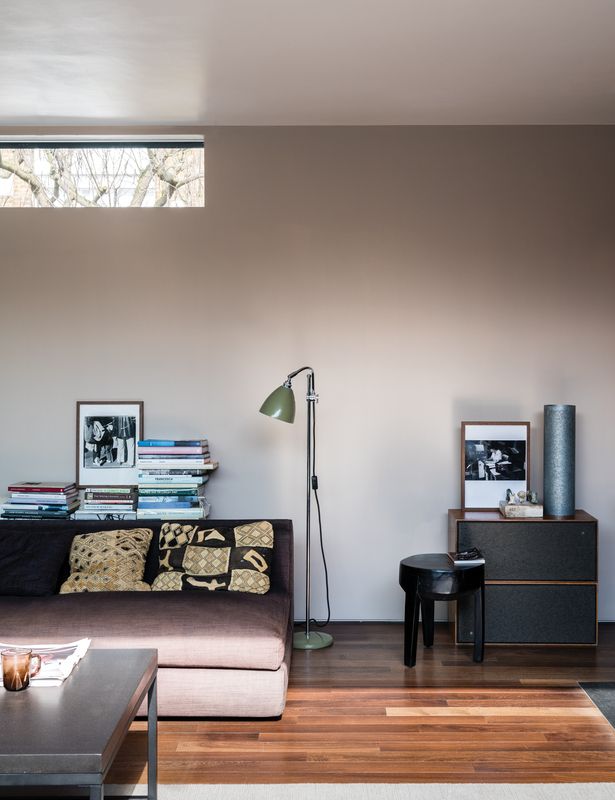 Farrow and Ball say Paean Black conjures up the shade of old leather hymnals and so is named after a song of praise. This green is just beautiful! Joa told us that this was designed to feel like a protective olive green; when you come home from a long day, this green should greet you like a comforting hug. Named after Japanese tea leaves, Farrow and Ball say Bancha, like a cup of green tea, provides a feeling of security. 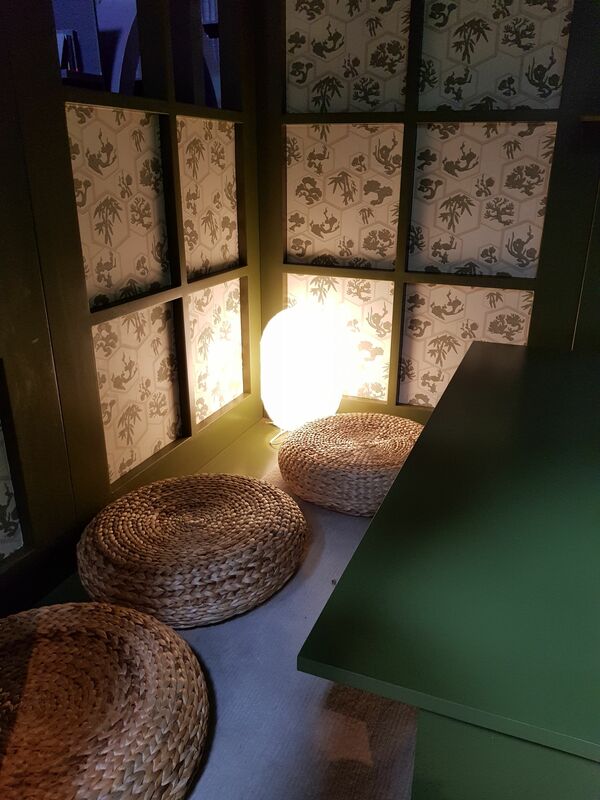 It’s a bolder colour but feels very serene and calm, which was really apparent in the Bancha tea house in the immersive event. This modern green is a darker version of the much loved archive colour, Olive and is ideal if you want to try a stronger colour. 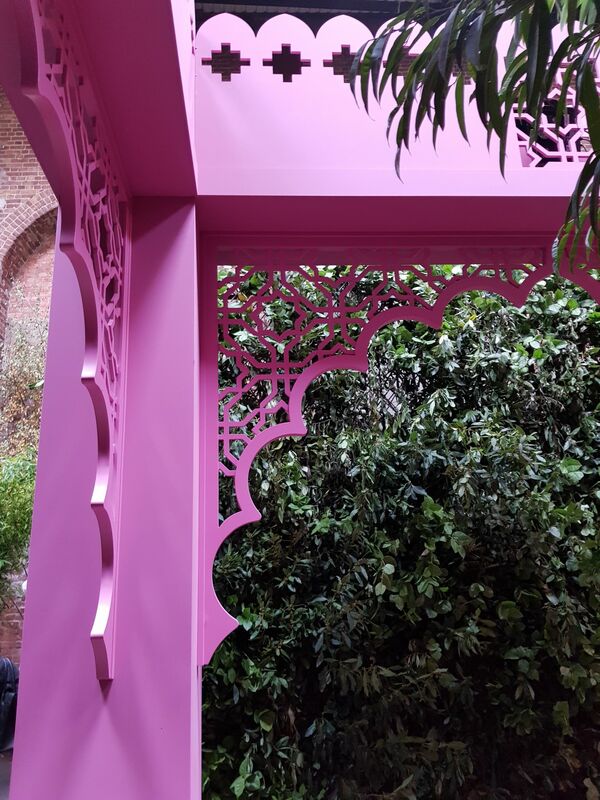 One of my favourite colour combinations is green and pink and I think Bancha would look stunning when combined with soft pinks and browns. 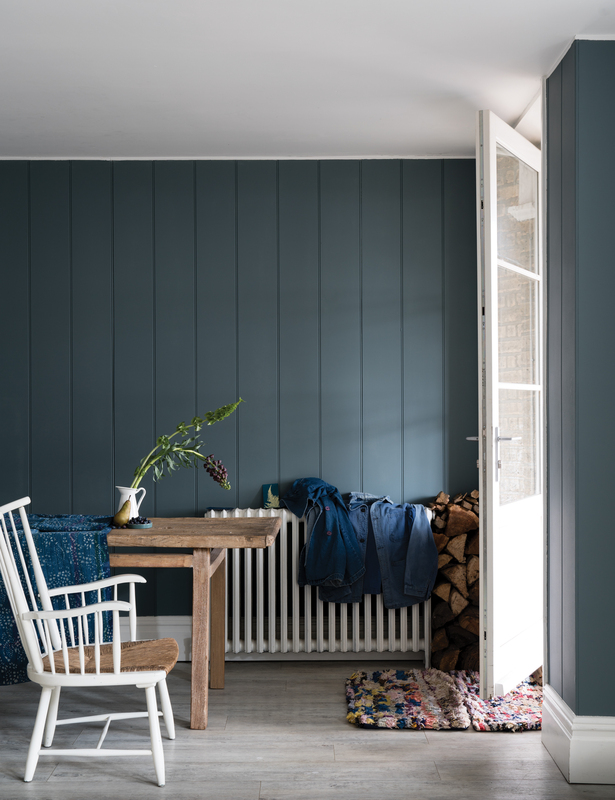 I have to admit the bolder colours in Farrow and Ball’s new collection are the ones which are really drawing me in, This colour is like a jewel. It’s such a vibrant, exotic shade, it can’t help but spread joy and make you feel happy. There is no denying that this is a bold colour and I can understand that it may be a bit too bold for some, but I love it! Joa told us that she’s painted her pantry this colour. A little room with a definite pop of colour. I loved that image, partly because yes I dream of having a Nigella-esque pantry of my own one day, and this colour would be ideal in making it my happy bolt hole. Rangwali takes its name from the powder which is enthusiastically thrown during the Holi festival of colours in India and that’s another reason I love the colour. It reminds me of the Holi festival when I was volunteering in Nepal. It’s amazing the power the right colour can have in transporting you to a favourite memory, place or experience. This is one those Farrow and Ball magical colours. In some lights it looks grey, while in others a calming green. It is a dark grey green version of the Farrow & Ball classic Pigeon, hence they named it after the green variety of the same species. 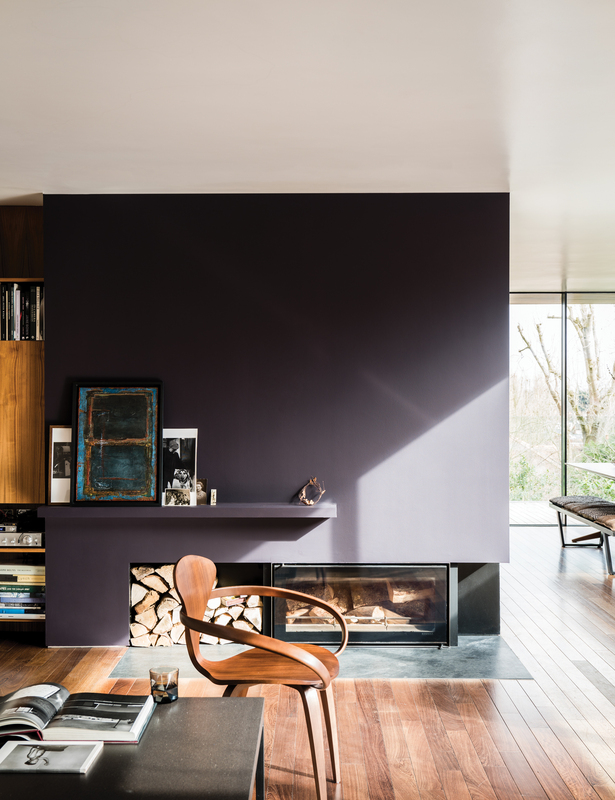 This is a very classic colour, but would be perfect for modern homes where lots of natural materials are used and in light spaces. I really liked the story behind this colour. 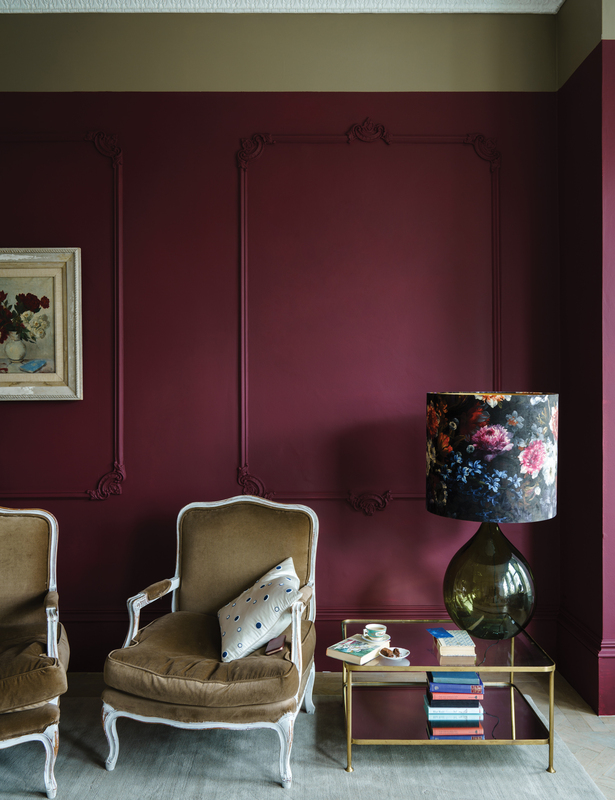 It’s the deepest and richest of the Farrow and Ball reds and this colour is named in honour of their original trade name, Preference Paints. Preference Red would be very striking when combined with Paean Black and Sulking Room Pink. Great for modern homes, but it also has a very stately feel too. This is the lightest colour in the group including Shadow White, Shaded White and Drop Cloth – each created to look like white when used in deep shade. 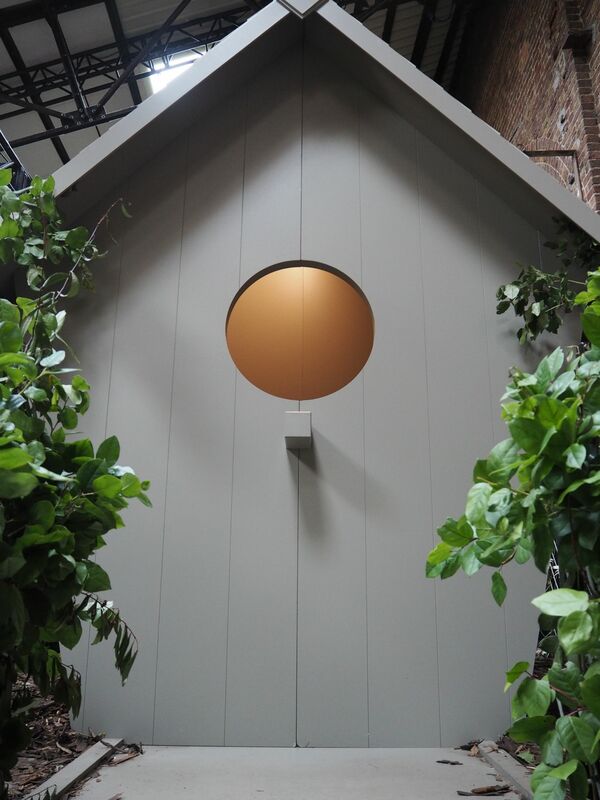 Joa told us how she has used this shade in her home, a old school house which inspired the name. You could really see this brought to life in the immersive pop up. I love the freshness of this pared back white, to me it feels like a very comforting white, quite a contrast to a stark cool brilliant white. This is a very elegant blue. 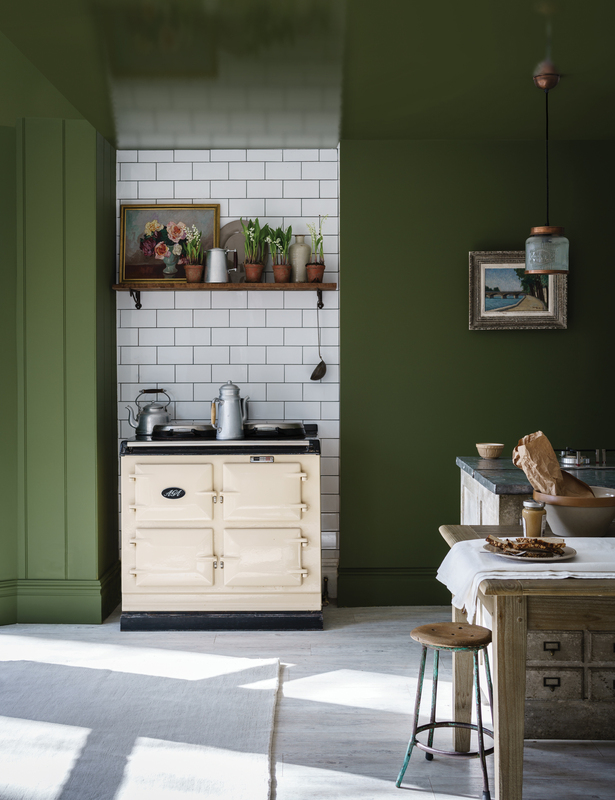 Farrow and Ball call it ‘wonderfully down to earth‘, a colour which could be used on anything from a kitchen island to an airy lounge. I would love this blue, paired with white in my bathroom. De Nimes takes inspiration from a regency palette but also from the cloth of everyday workwear made in the French city Nîmes. Lastly we have Jitney. This earthy colour shares its name with the bus that lets New Yorkers escape out of the hot city to the similarly coloured sandy beaches of the Hamptons. The shade sits somewhere between the more traditional Oxford Stone and the famous greyer Elephant’s Breath. I have to admit it reminds me of lazy days by the sea, it has that beach house vibe which is very up-lifting. I think I’d pick this shade for my dream office. 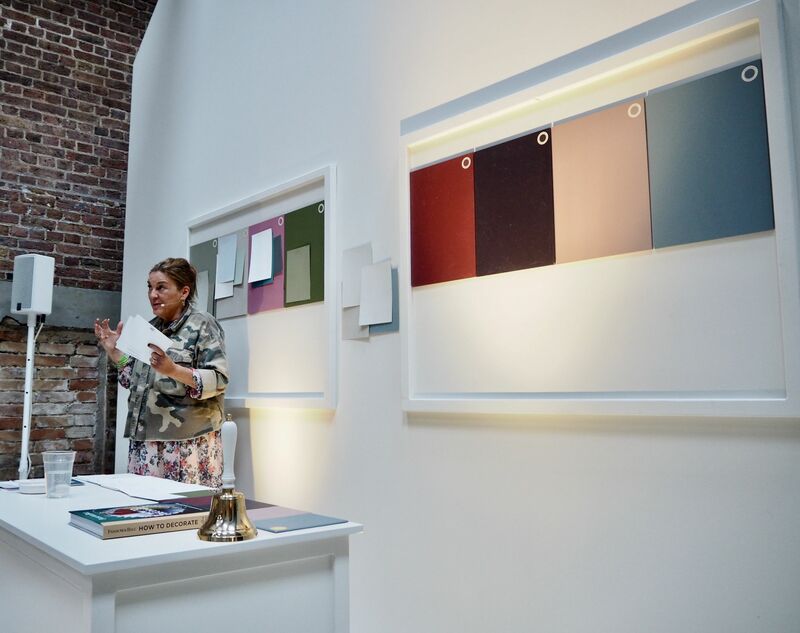 Farrow and Ball don’t add colours to their colour chart, new colours replace carefully selected existing colours. 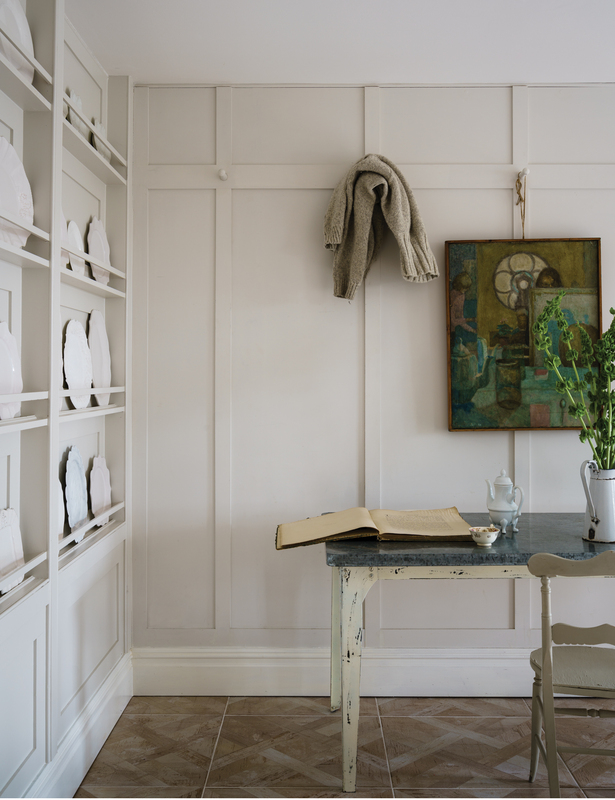 While the shades which are replaced may no longer be available in Farrow and Ball stores, every colour remains available in the Farrow and Ball archive and are available for order through their website. Joa told us the archived colours prove to be very popular as customers feel like that they’re getting a secret shade which will make their house unique. Don’t worry if you didn’t get a chance to experience the immersive pop up, as you can catch the highlights here. 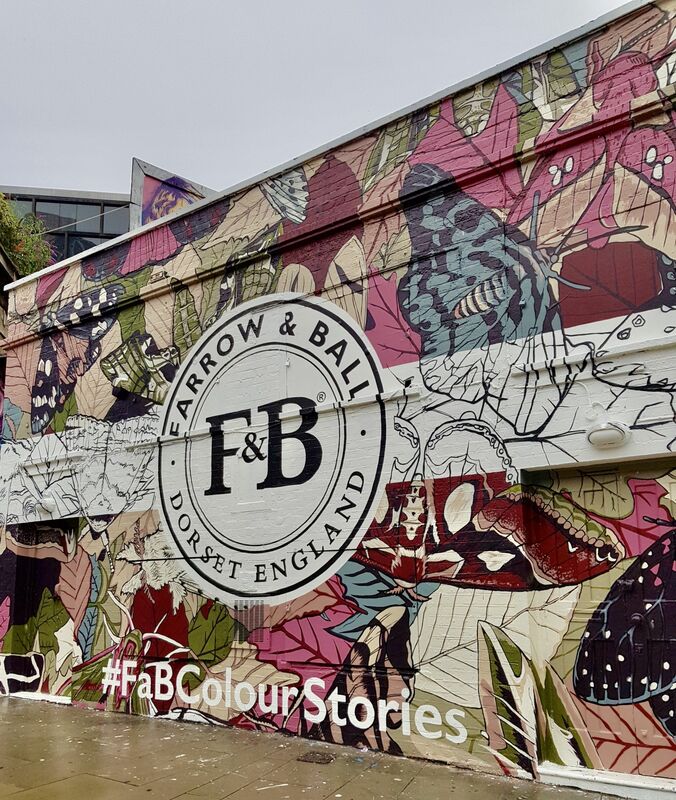 Which are your favourite colours from the new Farrow and Ball collection?